California red-legged frog and callippe silverspot butterfly credits in Solano County, California. 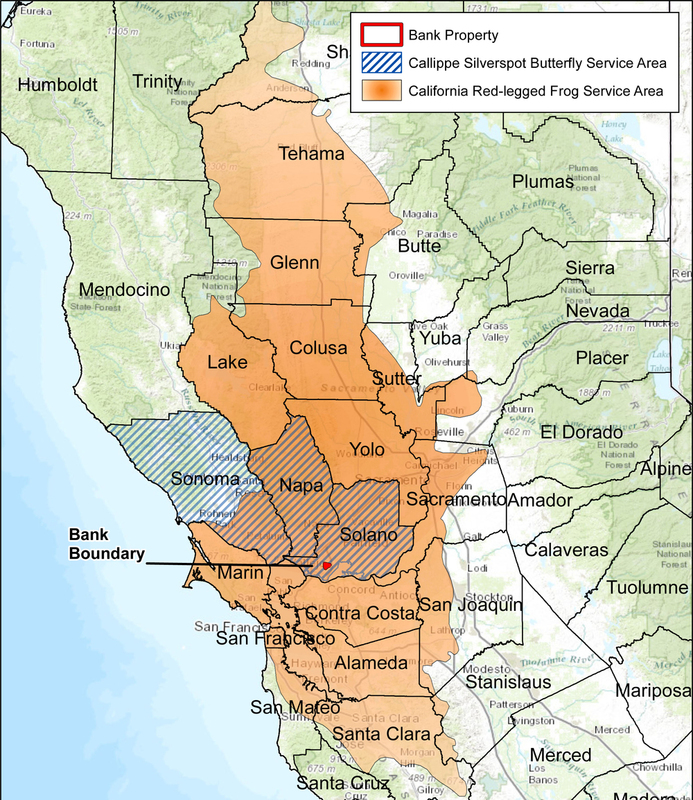 Mitigation credits are currently available for impacts to these federally-listed species and their habitat: California red-legged frog (CRLF) and Callippe silverspot butterfly (CSB). The entire property is within critical habitat for CRLF and extensive habitat is being permanently protected for both species. There are 13 stock ponds and a large riparian corridor on the property suitable for CRLF breeding and non-breeding hydration habitat. Credits are now available for purchase. Learn more about Ridge Top Ranch and available federally listed species credits. See if your project impacts can be mitigated by credits from the Ridge Top Ranch. View map and details here. Questions about mitigation or conservation credits? We're ready to help. Sign up for occasional email alerts about credit releases and updates.